The first self-storage facilities were probably in China. About 6,000 years ago, the Chinese would often store their possessions in clay pots in public underground storage pits. These pits were monitored, to make sure that nobody could remove any pot or its contents except for their own. Thousands of years later, the British had refined the concept, for the sake of dignitaries who had to be away from home for extended periods, by crating these items and placing them in stables – often with watchmen to secure them. These arrangements for storage were made by bankers, who procured such storage through third parties. In the 1850s, the storage business came to America with the creation of Bekins, which was founded by Martin Bekins, son of a Dutch immigrant. Bekins recognized the new migration of Americans to the west, and was the first to build a facility for the storage of household goods and valuables. In 1906, Bekins built the first reinforced steel and concrete warehouse in Los Angeles, and the second in San Francisco. It is interesting to note that during the great earthquake of 1906 in San Francisco, this warehouse was one of the few structures that did not collapse. On the east coast, more storage was being constructed by such companies as Minneapolis Van Lines and Weimer Storage. Indeed, the 1920s saw a large number of companies enter the self-storage industry. In 1928, Arthur Trachte, of Trachte Building Systems, built interconnected metal garages for “cars without homes”. 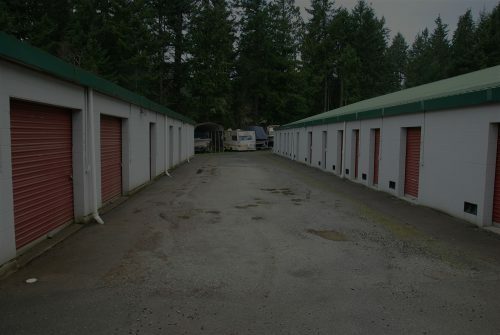 The modern self storage industry began in roughly the 1960s. But the large-scale, institutional side of the business began in 1972, with the first Public Storage facility in El Cajon,California. Today, there are around 52,000 self-storage facilities in the U.S.The total area of this storage is three times the size of Manhattan– under roof! The industry generates over $5,200,000,000 in revenue each year. One in every ten families in the U.S.rents a self-storage space. And America is the undisputed king of storage. While there are 52,000 facilities in the U.S., there are only 6,000 total in the rest of the world. For example, there are about 1.6 billion rentable square feet in the U.S., as compared to only 20 million in all of the U.K.